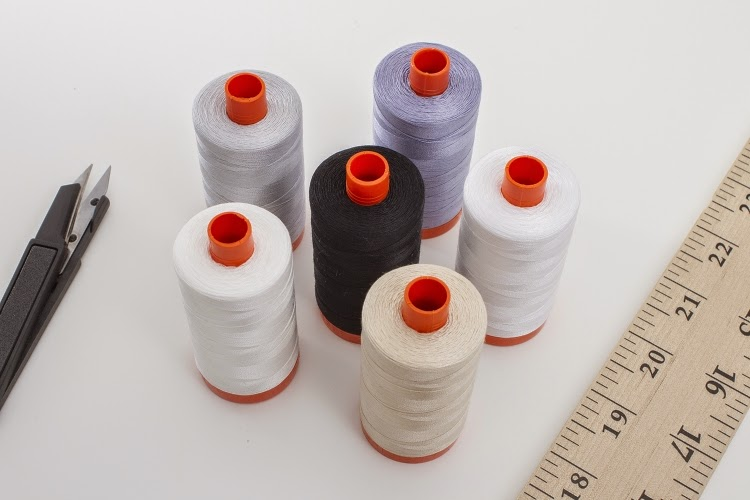 The price per spool comes down to $7.67 + there is a thread cutter too. You can join in if you would like. P.S. I will be back on Monday with some exciting news. Stay tuned! Nice find - looks like the thread snipper was just in the photo as a prop cause the comments say it's not included but that's still a great price for the thread alone. I just joined and bought in too. BTW those Ginger thread snippers are fantastic. I have a pair at home and I don't know how I lived without them before. The safety cap lets me throw em in my pocket and bring them between the sewing machine, ironing board and the cutting/basting table to precisely trim any threads. Along with my Olfa deluxe rotary cutter these are one of my "Can't Quilt Without" tools! Malini's Quilt Compamy is official - BIG NEWS!